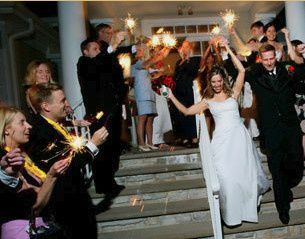 The Stanton Ridge Golf and Country Club is a prestigious and welcoming golf club for couples’ weddings in the greater Whitehouse Station, New Jersey area. This venue features an inviting clubhouse with a large stone fireplace as well as a charming, rolling golf course. Couples will find this elegant country club located approximately 45 minutes from Newark, New Jersey, just outside of New York City. Couples can enjoy the privacy of their venue while knowing a jaunt to the city on their wedding weekend isn’t out of the question. Couples can host a charming indoor wedding ceremony at this golf club’s clubhouse with scenic golf course views. 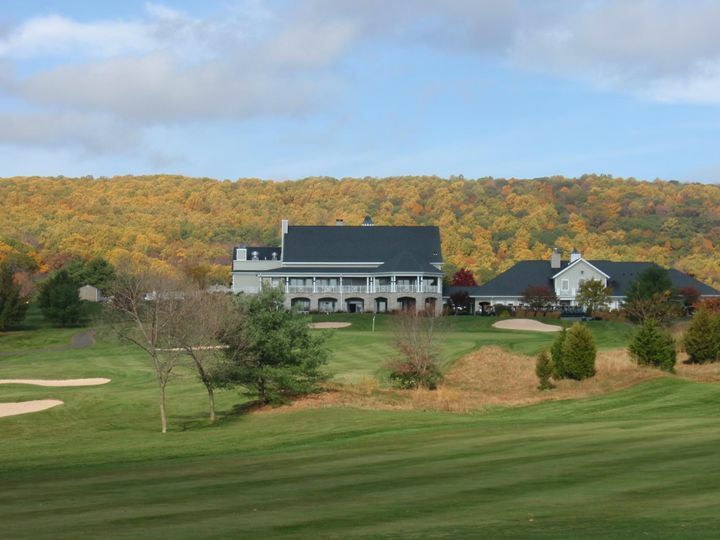 A maximum of 150 guests can be invited to the Stanton Ridge Golf Course and Country Club for a wedding or wedding-related event. 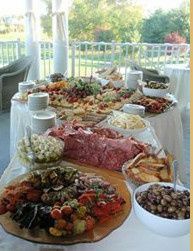 In addition to weddings, this venue also welcomes couples for bridal showers, engagement parties, and rehearsal dinners. The available event rooms, located inside the slate- and light-gray colored clubhouse, feature a large stone fireplace, white columns, and large windows. There is a veranda overlooking the course where couples can expand for a reception or enjoy a cocktail hour. 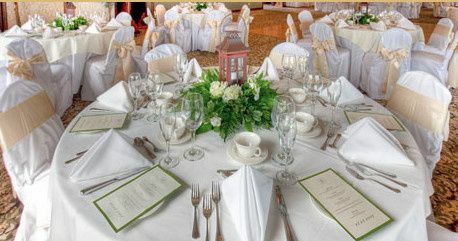 This country club has an attentive staff to help couples through the planning and execution of their wedding day. Couples will find event coordination assistance as well as help with smaller details of the wedding. Cakes, in a style and theme akin to the couple’s wedding, can be sourced or crafted by this venue. Couples will also find event items for their wedding such as barware, china, flatware, glassware, and linens. Parking is available onsite, to the convenience of couples and guests. This venue is at the centerpoint of three metro areas. Located in the greater Northern New Jersey area, this venue is approximately equidistant from Trenton and Newark, New Jersey. It is also not far removed from Allentown, Pennsylvania, or Philadelphia, which can be found just beyond Trenton. Couples who prefer the solitude of the great outdoors will never have to see the city, while those who prefer a faster pace could easily take a day trip to Philadelphia or New York City. The proximity of two major cities is also convenient for out-of-town guests flying in for a wedding. The event coordinator Sue is amazing. She has been very flexible with us and has even allowed us to choose the spot we like most for the ceremony. Stanton Ridge also plans on doing renovations which sound so beautiful. I cannot wait to have my wedding in 2020 there. Jessica, Thank you for the positive review!! Can't wait to work with you to make your wedding day everything that you want it to be! !